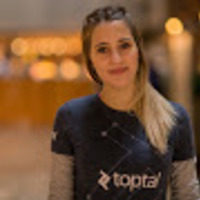 We’re organizing a Toptal networking event in Buenos Aires on October 11th. At the event, you’ll have the opportunity to connect with other Toptalers from your town, meet some core team members, share experiences, and have some fun while enjoying good company. If you’re a Toptaler in Buenos Aires, you’re welcome to join us at Dársena Bar from 6:30 PM to have some fun, talk about technology, and get to know the other Toptalers around you.